Agent Paranormal - A group of experienced paranormal investigators led by Rich Nikodem aka “Ghost Agent” and Peter Leonard aka “The Paranormal Archaeologist”. Combined they have traveled throughout the United States handling hundreds of private residential cases ranging from the absurd to truly baffling and everything in between. These unique personalities combine to give you a paranormal experience like no other. Their Present-Igations combine an interactive presentation along with a hands-on ghost investigation, where they utilize top investigation equipment & techniques used by the paranormal experts. 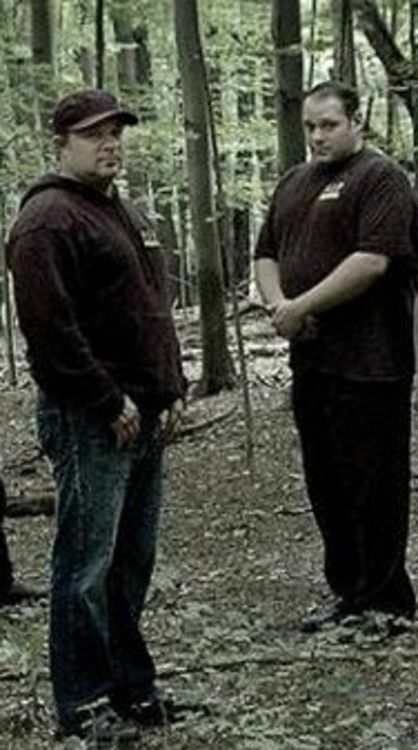 Rich Nikodem started investigating the paranormal in 2001. During an investigation of an old haunted theater, Rich recorded an entire conversation where a phantom voice answered every question, and even responded back by saying “leave us alone we had enough”. With a hunger to learn more about the paranormal, Rich joined R.I.P. and quickly went from a skeptic to a full on believer. After investigating the historical Hulbert House with R.I.P., Rich was so moved by all the paranormal experiences he encountered that he immediately contacted John Zaffis. Within a few months the location was featured on SyFy Channel’s Haunted Collector and became one of the highest rated episodes of the series. Agent Paranormal has investigated with top paranormal celebrities at some of the most haunted locations in the country and shares these truly terrifying stories with you. Be prepared to experience compelling video and audio evidence of the paranormal that will make the hair stand on the back of your neck. Combine this with a hands-on paranormal investigation and you have experienced… Agent Paranormal!